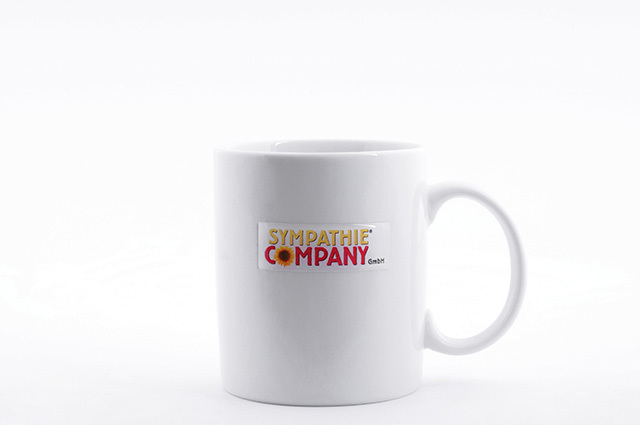 Doming Promotional Mugs I Sympathie Company GmbH › Sympathie Company - Werbeartikel mit Know-how, wie Werbetassen, Emaille Tassen, Werbebecher mit Logo uvw. Take a high quality printed Doming-sticker and place it safe and in a pretty classy 3D looking on the mug, so you have a doming promotional mug. We engrave the part where the doming is places, so its absolutely safe. 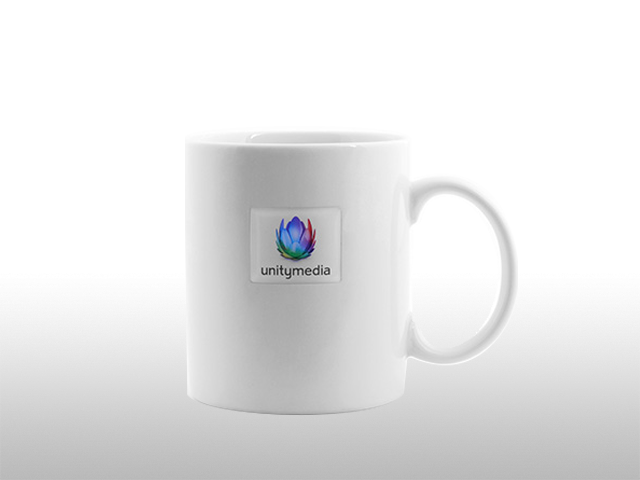 Without using screen printing and take the benefits of normal paper printing (like digital printing) - a multicolored logo can be placed on the mug in a cheaper way.